On October 29th, 2013, SPRING hosted an Ag2Nut Community Call featuring Charolotte Dufour - Food Security, Nutrition, and Livelihoods Advisor with the FAO. She shared her experiences and insights from the final of three Comprehensive Africa Agriculture Development Programme (CAADP) Nutrition Capacity Building Workshops, which were convened across three countries between 2011 and 2013. 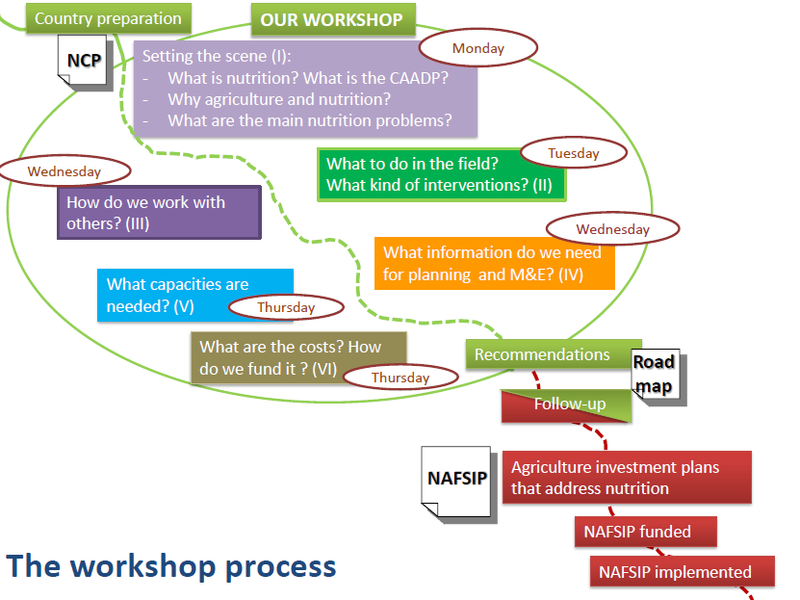 These workshops explored opportunities to 'maintsream' nutrition as a key objective within the CAADP process and create a roadmap for ag-focused workshop participants to influence programming in their host countries. More information on the scope and goals of the workshop process can be found here.